Move to iOS Android - Free Download Move to iOS App - Apple Inc.
"Migrate all your data from Android to your new iOS device"
App description: As the name implies, the Move to iOS makes life much easier for users who are changing from Android to iOS, as it assists in transferring all your personal data to the new operating system. Functions: With just a few taps you can transfer the following information: contacts, message history, camera pictures and videos, browser bookmarks, email accounts and calendar. How to use: Select which data you want to transfer to your Android device to create a Wi-Fi network. After this, connect the iPad or iPhone to the network, enter the security code and start the transfer. Languages: English, Portuguese, Spanish, German, Italian, among others. 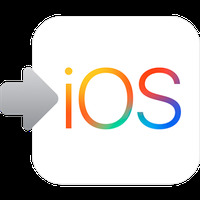 Recommendations: Perfect for those who are changing Android to iOS. Installation requirements: A minimum of 2,3M of free memory space and Android 4.0 or higher. The data transfer process is practical. Not very useful for general public. Do you like Move to iOS?